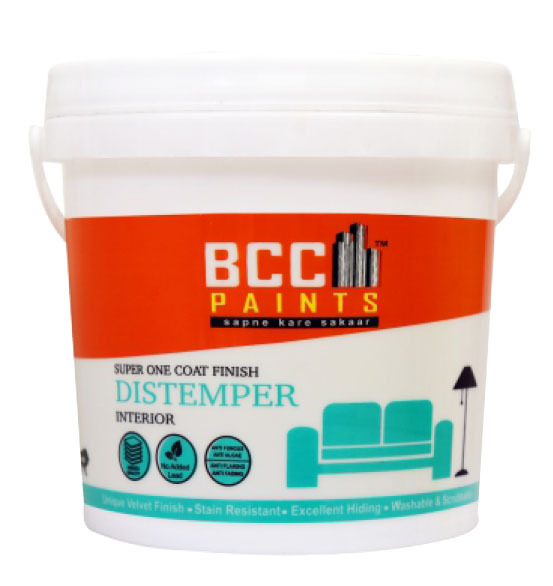 BCC Acrylic Washable Distemper is an economical distemper which is designed for interior wall surface to give a smooth and matt finish. It is based on acrylic emulsion to provide durability and decoration to the walls. BCC Acrylic Washable Distemper exhibits excellent bonding and designed for better coverage and value for money. Interior Plaster, Brick work and Asbestos. 15-18 sq mt / kg / coat on a well prepared and primed surface. Store in a cool & dry place. Stir contents well and strain before use.Tightly seal container when not in use.Do not over thin or over extend the brush. 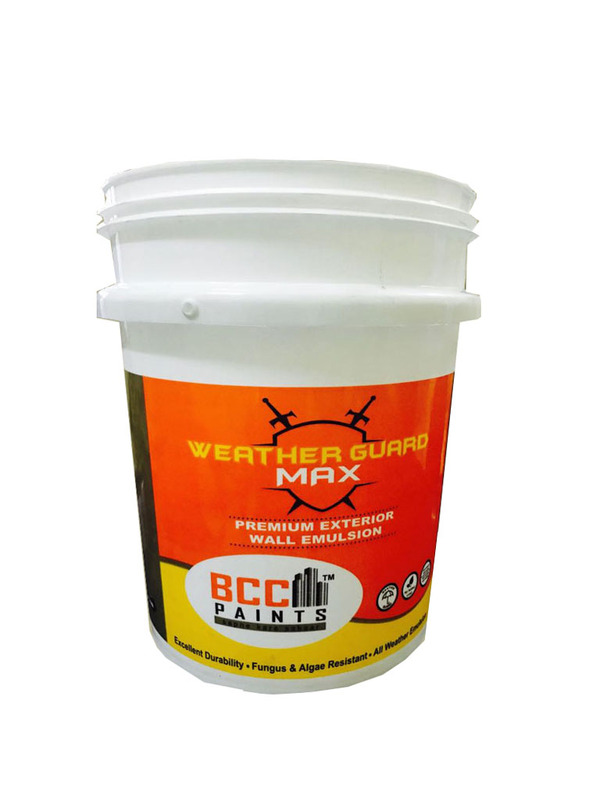 BCC Weather Guard Max Premium Exterior Emulsion is a long lasting exterior paint based on high performance 100% acrylic emulsion, light fast pigments, additives, micronized and siliceous extenders to provide a very durable finish. It forms a strong bond with the surface and withstands all kinds of climatic conditions as well as alkalinity of plaster. It is ideal for exteriors and interiors and protects the surface from fungus, algae, chalking and peeling for years. This product has a long life and easy to apply. 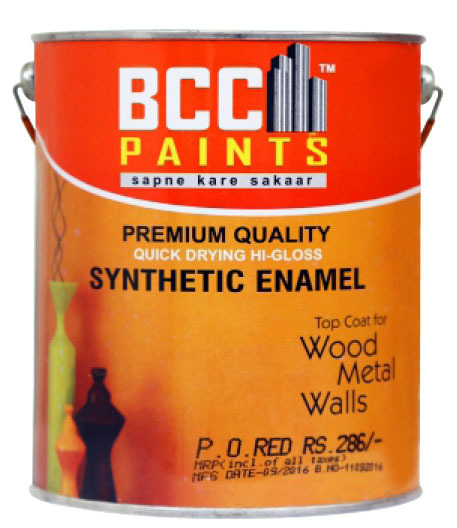 BCC Hi-Gloss Synthetic enamel is a high gloss, hard drying enamel based on special alkyd resin. 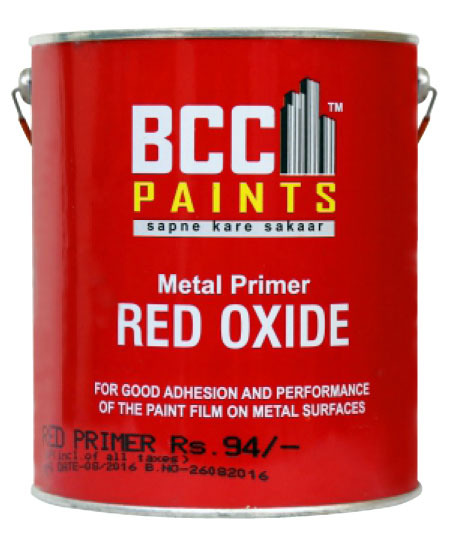 It is recommended for use as a finish coat on metals, wood and plaster in both interior and exterior surfaces. The product has excellent flow and brushability to give a smooth and uniform finish. It provides a tough glossy film which is water and stain resistant. 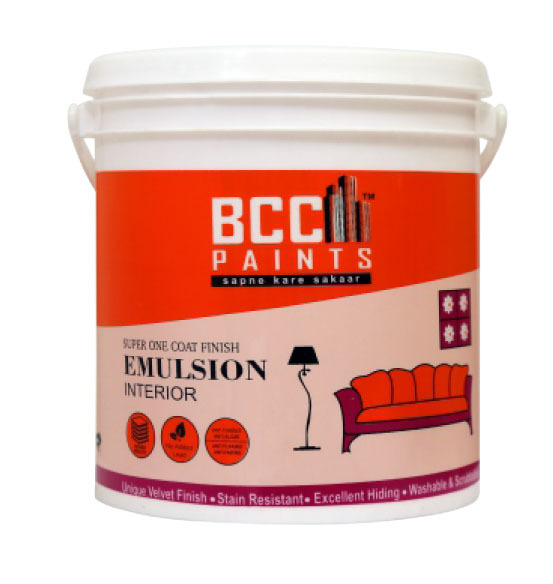 BCC Universal Stainers is a high strength colour concentrate used to tint base paint to desired shade. The stainer can tint – Interior Emulsion, Distempers, Synthetic Enamels (Glossy / Satin / Matt). Not recommended to tint epoxy, polyurethane, chlorinated stoving and allied paints. BCC Universal Stainers is available in multiple colours. Shades prepared from strainers yello-green, red and violet are liable to fleet when used in exteriors. Ensure that the surface to be primed is free from dust, dirt, rust, oil, grease and foreign matter. Clean surface properly and remove all loose matter. Add recommended thinner to obtain brushable consistency. Apply one coat of Red Oxide Metal Primer. Allow drying time of6-8 hours, sand surface lightly with emery paper 320 / 400 and wipe clean the surface before application of top finish coating. 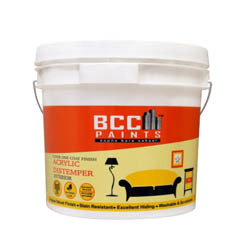 BCC Acrylic Distemper is an economical distemper which is designed for interior wall surface to give a smooth and matt finish. 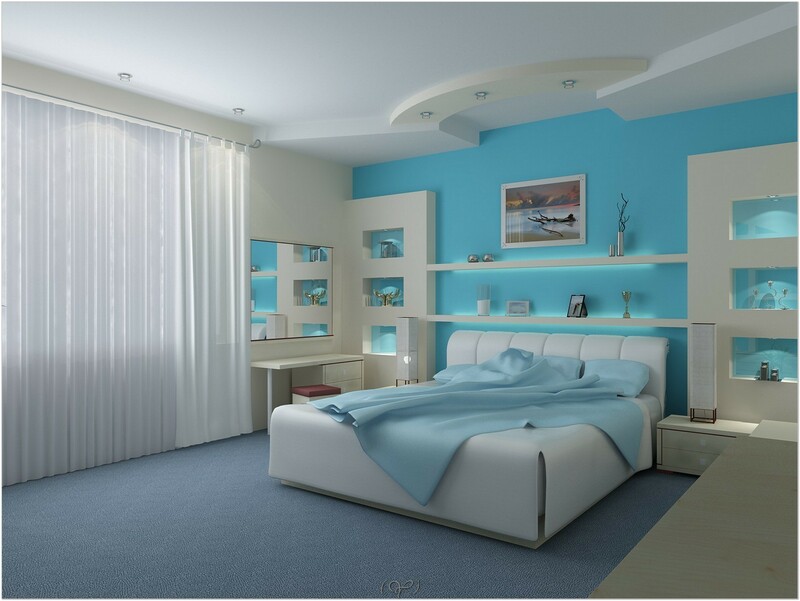 It is based on acrylic emulsion to provide durability and decoration to the walls. 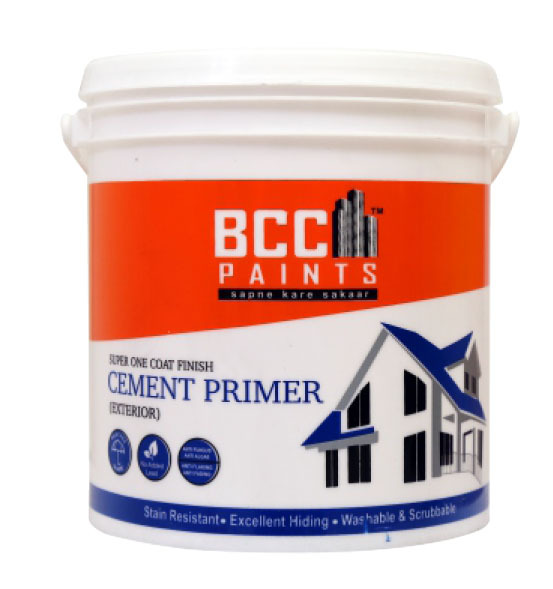 BCC Acrylic Distemper exhibits excellent bonding and designed for better coverage and value for money. 11-13 sq mt / kg / coat on a well prepared and primed surface. 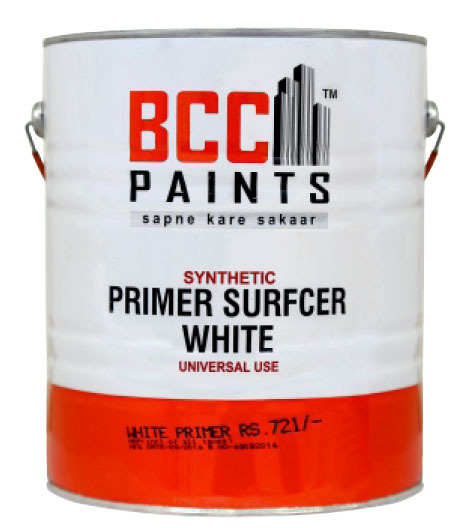 BCC Surfaces White Primer is a solvent thinnable economical primer for interior use. It has excellent adhesion and sealing properties. It can be used on matured plastered walls, concrete, asbestos cement sheets, brick work and wooden surfaces (universal use). Interior Walls / Concrete / Brick Work / Wooden Surface. 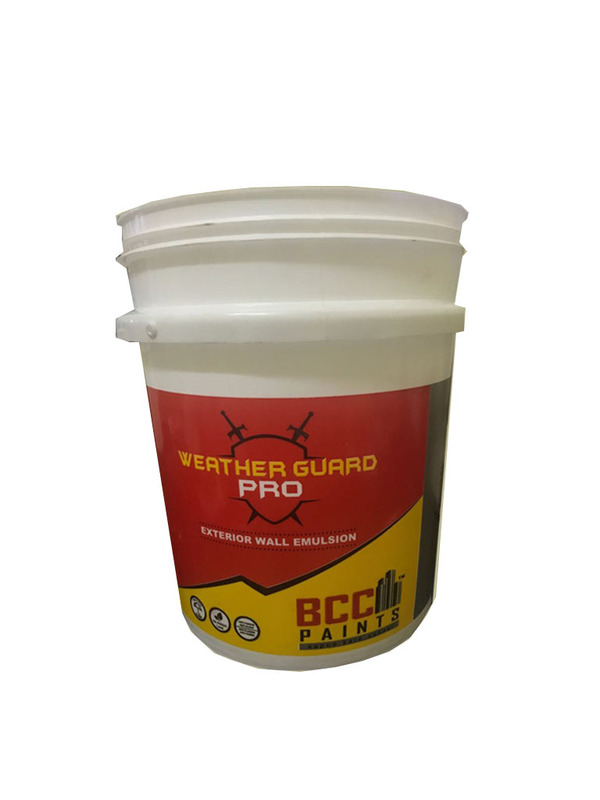 BCC Exterior Wall Primer & Sealer can be used as a base coat for all types of exterior emulsions. It has been specially formulated to compliment the performance of exterior emulsions. Primer coat for all types of exterior emulsions.